A great day out can be had by all the family with a trip to Caerphilly Castle. The sprawling ruins sit in the middle of a vast lake, surrounded by well maintained parkland. Built by Gilbert de Clare in the 13th century as a deterrent to the aspirations of the northern Welsh Lords. Caerphilly castle is one of the largest Norman castles in Europe and novel as it was constructed in completely virgin territory that had not subject to previous defensive works or alterations in the landscape. 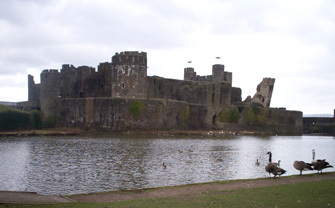 Caerphilly Castle is a massive construction, covering some 1.2 hectars; double concentric curtain walls, a complex dam and lake defence system, along with a bewildering array of portcullises and traps to deter any attacker. Unlike may castles there were very little alterations carried out at Caerphilly and the arrangement seen today is pretty much the same as the original design. The castles effective lifespan was about a hundred years and once the immediate threat of Welsh attacks had been quelled the massive fortress slowly disintegrated with dereliction. During the English Civil War, Oliver Cromwell’s men tried to blow up one of the towers, leaving the iconic leaning tower of Caerphilly and by the turn of the 19th century the lake had been drained and houses built against the outside walls. The Bute family once again brought Welsh heritage back to like in the 1950’s with the imaginative re-establishment of the dam and extensive reconstruction work that still continues today. The Baronial hall is now completely refurbished and hosts regular evenings, weddings and celebrations inside this great old castle. 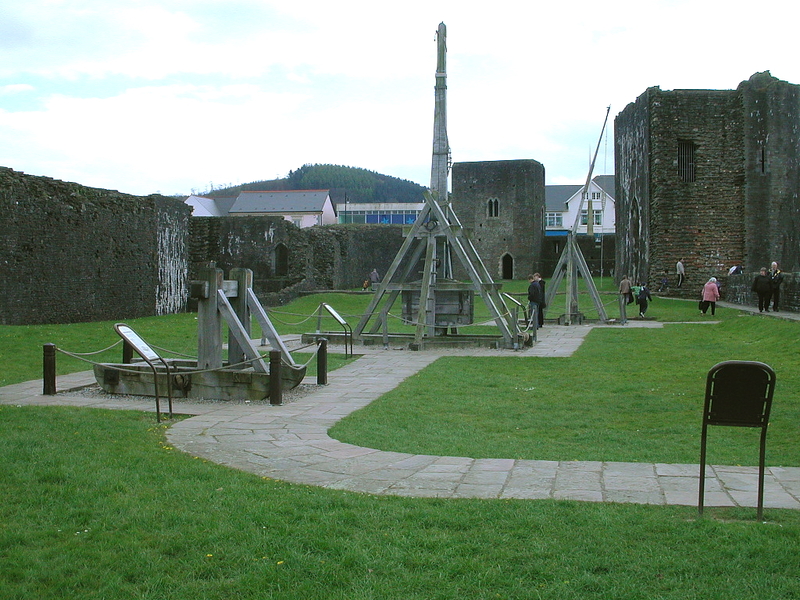 The site also contains an excellent collection of working siege engines and display of detailing the castles history. 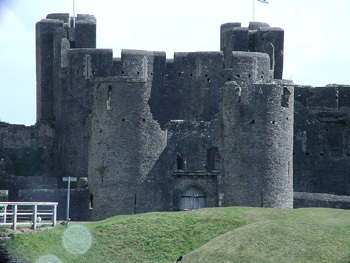 This entry was posted in tours and tagged Caerphilly Castle, castell, Castle, day out, day trip, medieval castle, picnic, trip ideas. Bookmark the permalink. I actually work for the CheapOair travel blog. If you’re interested, we would love to have you on as a guest blogger. . Looking forward to hearing from you.